Can we afford to suggest that only managers can be leaders? No. The need for leaders is far greater than 2.2%. But every time the word ‘leader’ is used as a synonym for ‘manager’ it sends a message that the other 97.8% cannot be leaders simply because they are not managers. And when ‘leader’ is used to refer to an executive manager it restricts the number even further down to 0.76% of the US population. First of all it is unfair to managers to expect that they alone can fully meet the needs of leadership, especially considering that typically they are already laden with immense responsibilities. And it’s unfair to all those who want to make a difference but are inhibited from doing so simply because they don’t have an acceptable job title. What percentage of people should see themselves as leaders? 100%! The longing to matter and make a difference is part of our inherent need to adapt and grow. To suggest to anyone that they cannot be a leader denies them the opportunity to live a fulfilling life. Can we afford to suggest that leadership only happens in the workplace? No. The need for leadership is greater than 43.6%. Leadership doesn’t have to happen within an organization. Leadership happens in relationship, in the space between one and another. Leadership is about so much more than business. Leadership is life size. It can come from anyone and it serves everyone. We need to talk about how leadership happens within organizations but it is just as important to talk about how leadership happens outside of organizations. Whenever you use the word ‘leader’ or ‘leadership’ make sure that you are indeed talking about leadership. Call it what it is because it matters. The need for leaders and for leadership is far too great to stuff it inside a few boxes on an org chart. The need is 100%. * The numbers are based on the 2017 US population compared to the “May 2017 National Occupational Employment and Wage Estimates.” www.bls.gov/oes/current/oes_nat.htm While the numbers are only for the US the concern applies globally. “I want to be the leader!” called out a little girl as she got on her bike. “I want to be the leader!” yelled another girl. As the group of young kids headed off on another adventure I stood there pondering this passionate display of leadership that was so incredibly full of life. And I wondered why it shrinks as we get older. How big is leadership? It’s bigger than even youthful exuberance and confidence. It’s as big as life. Because leadership is life. 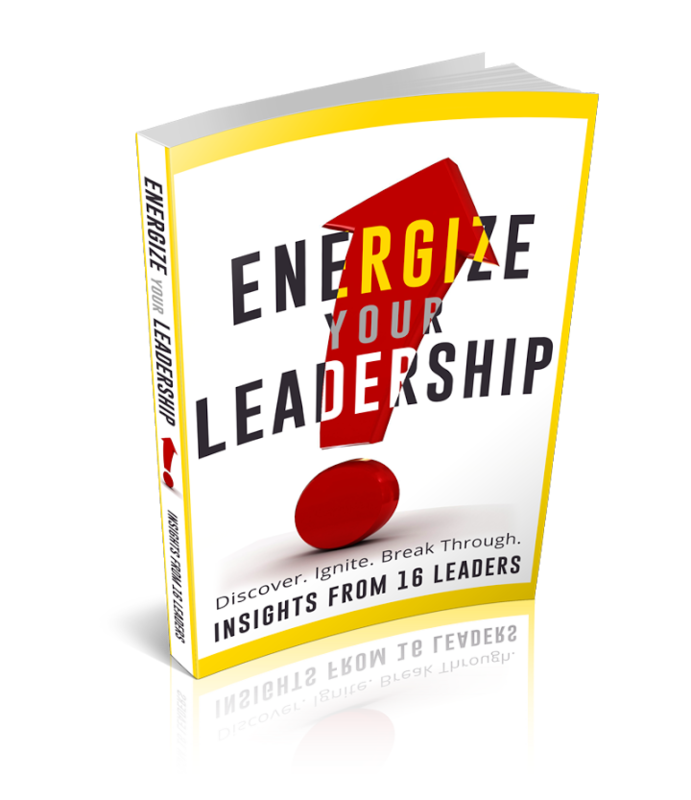 We are born with an innate desire for leadership that comes from the basic instinct to adapt and grow and become. How do we take down these walls and bring leadership back to life? Leadership is bigger than management. When you talk about management, call it management, don’t call it leadership. Down comes a wall. When you talk about really good management, call it good management, don’t call it leadership. Down comes a wall. When you talk about upper management, call it upper management or executive management, don’t call it leadership. Down comes a wall. Talk about how important it is for managers to be leaders but don’t suggest that only managers can be leaders. Down comes a wall. Leadership is bigger than business. Talk about the role of leadership in business. But don’t suggest, intentionally or unintentionally, that leadership happens only in the context of running a business. Running a business is management, and it should be guided by good leadership. Leadership happens in boardrooms, and it happens at dinner tables and on playgrounds and at checkout lines. A leadership discussion can be about profits, or it can be about dreams or bullies or heartbreak or 10 pm curfews or what we’re going to do next. Don’t teach leadership as an occupational skill in business school, teach it as a life skill in kindergarten. Talk about leadership in the full context of life and walls start falling down all over the place. Leadership is bigger than our boxes and walls. Fascinating things happen when we take down the walls we have built around leadership and open it up to everyone. People grow. Their eyes are opened to see they have the permission and ability and responsibility to lead. Their hearts are opened to the unique purpose they have to serve. Managers are set free to be the leaders they are truly meant to be. Youth are no longer fettered with the label of “future leaders” and they live as leaders today. Citizens take a stand for justice because it is influence, not authority, that leads real lasting change. Groups of people who by their race or gender or other physical characteristics have often found themselves on the outside come to see that they are leaders by their own choice. Service, influence, relationship, trust, community, vision – this is the stuff of leadership. This is the stuff of life. Let’s stop making leadership so much smaller than it really is. Let’s exuberantly declare, “I want to be a leader!” Let each and every single one of us boldly claim, “I am a leader!” Let’s set leadership free to be life size. It is difficult to have an open dialogue when we are wrapped up in a controversial issue. But even when we don’t agree on the issue, by agreeing to a few basic principles we can come together on common ground for a meaningful dialogue. Agreement is not a prerequisite for respect. We each walk our own path to come to common ground. We are all at once both broken & brilliant. Compassion for our brokenness brings us to common ground. Passion for our brilliance brings us to higher ground. No one of us can see the entire picture. It is only by our collective perspectives that we can begin to see and understand. I can only inform and influence. For that to happen there must be an open door. I don’t win by defeating you. No one becomes more from someone else becoming less. We are in this together. Do not speak from anger, speak from what makes you angry. In your words and actions reflect who you are and respect who they are. There is no contradiction in facts. If contradiction exists it is in our understanding of the facts. Selective facts are not facts. A fact is a thread woven into the overall story of our world. To pull out a single thread only weakens the fabric. The end goal is not to find an answer, it is to deepen understanding. When together we gain a deeper understanding of the issue at hand then each can make better choices for the good of all. On the path forward sometimes I will lead, sometimes I will follow, always I will serve. It is service that keeps us together. If we have not come to a place where we can serve each other, then we must ask a different question and begin again. When the world around you goes to pieces, go to peace. From news broadcasts to social media to hallway conversations there is set before us the hatred and divisiveness that has risen to the surface in our society. It seems the world is going to pieces and threatening to take us down with it. But yet peace persists. And it will prevail if we go to it. Become more familiar with what peace means to you in order to better recognize and nurture it in your life. When you think of peace do you see the still waters of a pond reflecting the beauty of a tranquil forest? Or do you see serenity standing with confidence before the waves of a tumultuous sea? Does peace speak to you in a quite whisper? Or does peace roar above the cacophony of a thousand voices? Once you have a better sense of what peace is to you then you gain a better sense of the moments and places where peace dwells most richly in your life. Is peace experienced in a quiet solitary time of reflection and mindfulness? Does it come in communion with creation? Does it come in a lively conversation with close friends? Wherever and whenever peace is at its brightest and warmest for you, go there, go there often. Every one of us is called upon to be a leader, each of us in our own time, in our own way. Far too many never hear the call, far too many hear the call but do not answer. There is a call of service ringing out to us now to be leaders of peace. We need people with the strength of peace in their hearts that can bring others together on a higher ground of respect. How will you answer? On Monday, November 21st, 2016 at 7 pm EST the #ImpactMatters tweetchat will be discussing peace, how we can find it and how we can live it. Please join us. The more perspectives we have the richer our dialogue will be. “What a lousy day,” says the golfer. “What a great day,” says the greenkeeper. Much has been written about mindfulness and leadership. Yet in all that I have read there is an element that is lacking or missing altogether that is key in moving from mindfulness to leadership. And so I join the throng to offer another perspective. One of the keys in this classic definition of mindfulness is intentional awareness. Another key is to be nonjudgmental. Mindfulness creates for a leader an intentional and objective awareness of the world as it is, seeing the current situation unfettered by perceptions and expectations. This is critical because you can’t get to where you want to go if you don’t have a good understanding of where you’re starting from. The journey begins with being aware and present in the moment. A keen sense of situational awareness and self-awareness also helps you see where your gifts match up with the needs of the world about you, presenting opportunities to serve. This service lays the foundation for leadership. Service builds trust. Trust builds leadership. That brings us to the piece that I feel is the missing link. In order to move from mindfulness to leadership you have to come to a point where you turn the judgement back on AND CRANK IT UP! If you feel uncomfortable with the word judgement use the term assessment. However you look at it, add your personal perspective to your mindful observations by beginning to question the current situation. How does the situation align with your beliefs and values? What about the beliefs and values of others involved? What do you feel about it? What do you think about it? What about it makes you excited, scared, curious, confused? What about this situation is beneficial or harmful or challenging to me or to others around me? What about the current situation should be preserved or changed? Is the current situation as good as it needs to be or should it be improved upon? Can it be improved upon? Reflecting then on these kinds of questions opens one’s eyes to opportunities to serve and opportunities to lead. If there is indeed an opportunity to lead ask yourself if you’re the one that should take the lead or if you should lift up someone else and follow their lead. If this is your time to lead then begin to articulate a vision of how things can be. Having a keen awareness of what is and a powerful vision of what can be – Lead On! Now imagine the golfer and the greenkeeper discover mindfulness. One rainy day they sit down together in the clubhouse and share a pot of coffee. They talk about the weather, accepting it for what it is. Then they discuss the opportunities offered by such a day and how to make the most of it. From that conversation comes a new program. On days when the weather is too inclement to be out on the course golfers can help out in the shop. Even if they’re not chasing the ball into a hole they can still be at the golf course, and they develop a sense of ownership. For the greenkeeper it’s a chance to get to know the golfers better and learn what they would like to see on the course. A mindful moment can lead to great things. A characteristic we all share is that each of is different. Diversity is the life reality of who we are as a collection of unique individuals. This reality presents challenges but also immense opportunities. A Servant Leader is well equipped to address the challenges and to build on the opportunities, particularly in three key areas. A great way to serve someone is to take down a wall that stands in their way and then turn those blocks to stepping stones. Too often our differences are used to stuff people into boxes and behind labels that senselessly keep them from living the life they are meant to live. A Servant Leader believes that everyone should have an equal opportunity to live into the fullness of who they are as a splendidly unique individual. That which makes a person unique is exactly what the world needs, so if they aren’t allowed to be who they are the whole world suffers. A Servant Leader calls out any discrimination, whether it’s based on readily discernible physical characteristics or more subtle traits, and brings the person forward where they can shine. Diversity is also important for teams. There is no need to go looking for diversity, it’s everywhere. If you put any two people together you have diversity, so in a team it’s a matter of recognizing the diversity that exists and determining whether you have the elements of diversity necessary for the team to achieve the goal at hand. By focusing first on service to the person the Servant Leader is able to understand each individual on a team and what unique contribution they have to offer. And while allowing each individual to be present on the team as they are the Servant Leader binds the team by bringing them together around a shared story of where they are and where they are going. The Servant Leader does not lose sight of the importance of individual contribution because they know that the primary objective of any team is the growth of each individual, and in this the team as a whole is enriched. Diversity is also vital to leadership itself. The better you understand our differences, and see the unique contribution that you yourself have to make, the better equipped you are to serve and to lead. And this is a time that is calling out for Servant Leaders to take a strong lead in embracing diversity. Sadly there are many well intended efforts these days to squelch and hide our differences. The thought is that sameness brings about equality. But the only way it creates equality is that everyone loses. And fear that one person’s uniqueness might offend another person has led to policies that prohibit people from demonstrating that which makes them who they are. This is done out of respect for the potentially offended person but it is in fact a great disrespect to the one who has had their lines blurred. The Servant Leader begins with respect for the individual, as they are, even when they disagree. Yes, even when offended by the actions of another the Servant Leader still respects the person. A Servant Leader creates a culture of service where people are free to reflect who they are and open to respect who others are. We can’t lead people into the fullness of who they can be tomorrow if they don’t even know who they are today. “What are your top three leadership core values?” It was a thought provoking question and responding to it was a challenge. Tal Shnall posted the question on Facebook and tagged a group of us. Thank you, Tal, for the question. Part of the challenge for me was how it was worded. I had often thought about my personal values and the effect they have on my leadership. But the phrase “leadership core values” put a twist on the question. I had never thought of values specific to leadership. Another challenge was articulating just three values in a concise enough manner to fit a Facebook comment. Had I been asked to spend the next two hours expounding on all my favorite characteristics of good leadership I could have dived right in. But to narrow it to only three core values that underpin the rest? Then there was a challenge I issued to myself, to not just list three values but to add a sentence or two for each to clarify the value and explain how I see them relating to each other. And again to be able to do that in a concise and clear way. I had to wrestle with it a bit, but I did manage to come up with a list, and here they are. The innate worth of the individual (including ourselves). Each and every person matters, always. The importance of service as a response to individual worth & as the foundation of leadership. The freedom of everyone to lead. To deny anyone, intentionally or not, their freedom to lead is a failure to recognize their individual worth and a disservice to the individual.